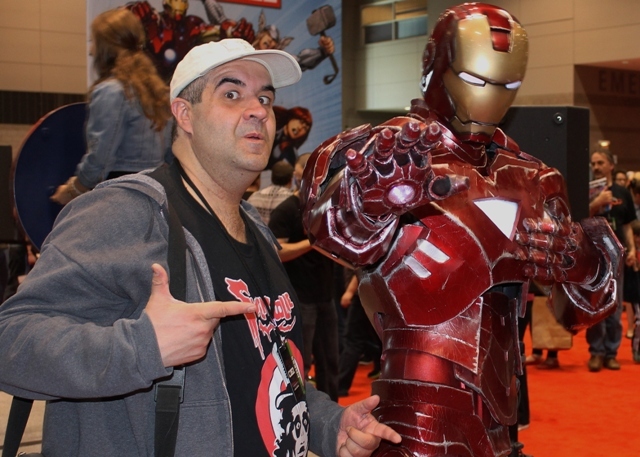 Chicago Comics & Entertainment Expo (C2E2) 2015! 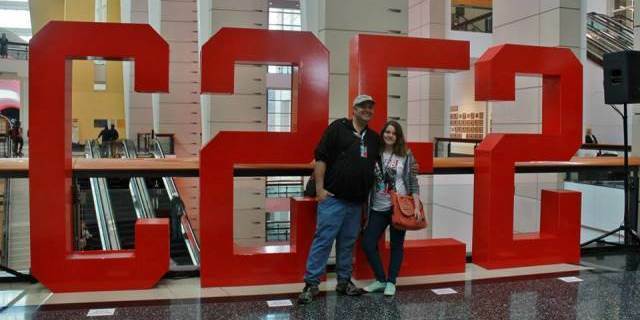 I’ve attended the Chicago Comic & Entertainment Expo (C2E2) for the last four years and each time it rolls around I get more and more excited about it. The success of the Marvel films reignited my love of comic books and inspired me to dig out that old collection of mine; thirteen long boxes featuring the ‘70s and ‘80s exploits of Spider-Man, The Uncanny X-Men, The Mighty Avengers, and so on. This year I attended the event with my friend, Elizabeth Ocon, along with my thirteen year old daughter, Jade. I think it was Jade’s excitement that caused me to anticipate this event as I did back when I was in my teens and attending Chicago’s Comic Con (as that event was called back in the day). With a steady stream of new super hero movies continuously breaking box office records, nothing says “spring” like a good comic convention. Fortunately for me, one of the best of these is right here in the Windy City ala C2E2 (Chicago Comics Entertainment Expo). I’ve been going faithfully for the past couple of years and, though initially just to cover Svengoolie, it has since become so much more. 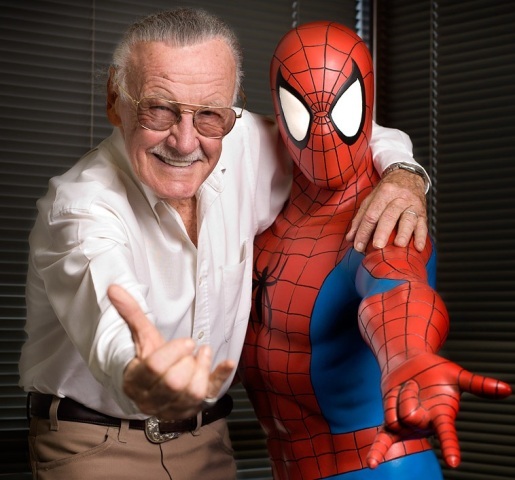 Meeting the Amazing Stan Lee was faster than Spider-man! Terror from Beyond the Daves is pleased to welcome guest writer, Russ Wrangler, in our continuing coverage of The Fright Night/Fandomfest! I woke up Saturday morning and Dave was already gone. If his bed hadn’t been unmade I wouldn’t have even known he’d came back the night before. I got ready and headed over to The Kentucky Convention Center to finally meet the great Stan Lee. I’d been a fan of Marvel Comics growing up and had always wanted this opportunity which is why I chose his VIP pass over the others. I wasn’t alone. 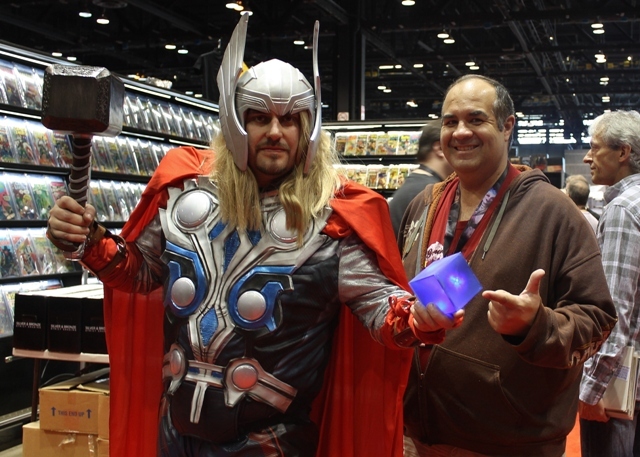 Superheroes and Super-creative people abound at C2E2 (Chicago Comic Enetrtainment Expo)!